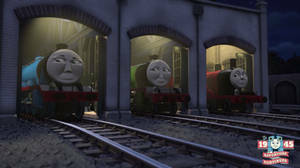 So it seems both the Fan Characters and Original Characters folders have hit their limits. 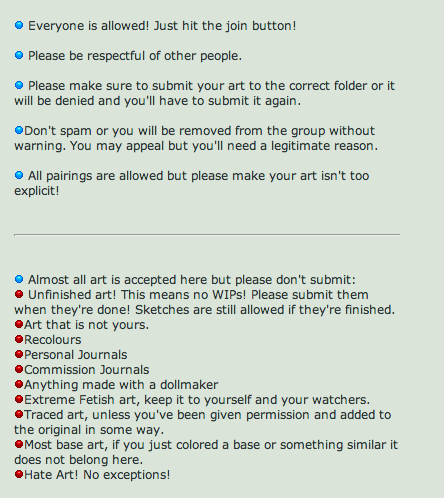 I wish deviantART didn't have folder limits, they really are the dumbest feature on dA. So I've made new ones. But that's not what this journal is about. Many of you aren't reading or following the rules. Every day I have to move deviations out of the "Everything Else" folder and it's becoming a chore. Please use the everything else folder sparingly! It's not for art that would fit in another folder! Also, journals are strictly not allowed, even in the literature folders! Please don't submit them! Here are the rules in case you never read them. Thanks for getting us to 1100! I thought there is an unlimited setting for the folders in the admin log. That's unlimited submissions per day, unfortunately dA limits the total amount of deviations in a folder. Oh okay, gosh if only it was unlimited, maybe that's only for super groups. A limit in folders? What kind of limit? like how many pics you can put into them? Oh, well that is alot of them. Be hard for a person to go into a folder and actualy look at all of those. Folders - PLEASE READHello Everyone!